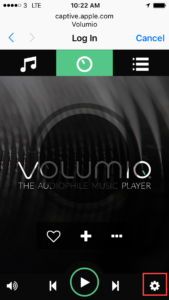 This is an overview to demonstrate the set up and common functionality of Volumio, the audiophile audio player with Raspberry Pi. 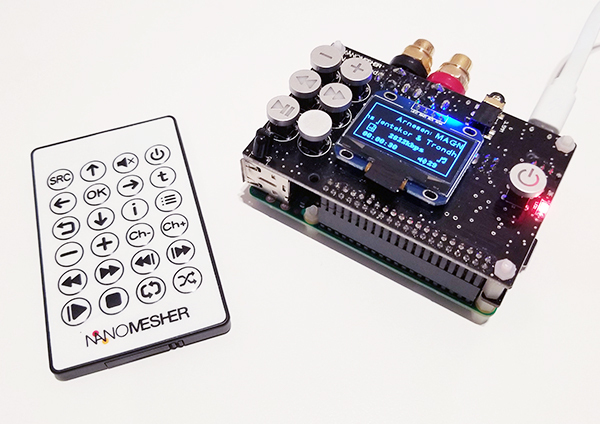 Before you use this guide make sure you have a high quality DAC such as NanoSound DAC to enjoy the great audio quality. 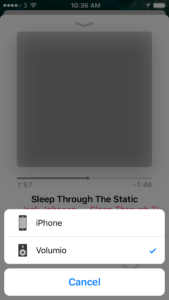 This example uses iPhone. 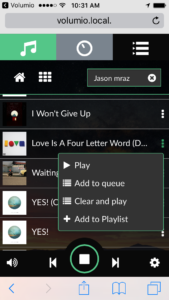 Setup using a computer or Android phone will be similar. 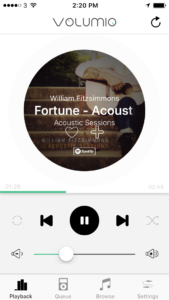 When starting up for the first time, a wifi access point called “volumio” will be available. 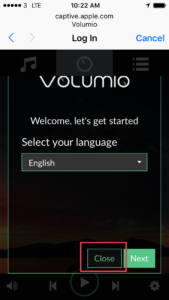 Connect to it with password “volumio2“. 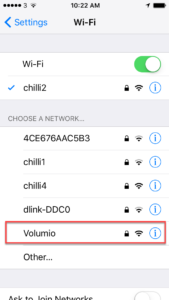 After connected to “volumio” wifi, below page will be shown. 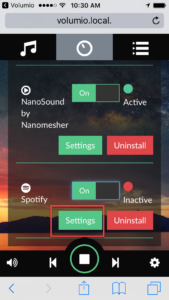 Close the wizard because NanoSound is already pre-configured. 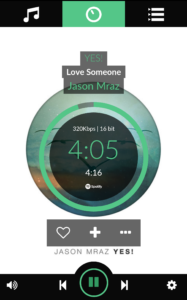 You can change the language later. 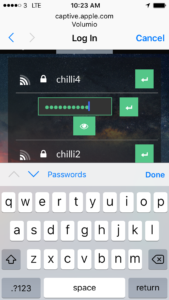 Configure Volumio to connect to your own wifi Scroll down until you see your own wifi access point. 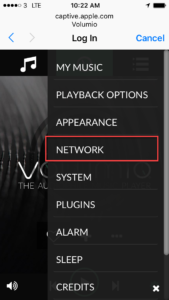 After connecting Volumio to network, you can then access the storage directly from your computer. 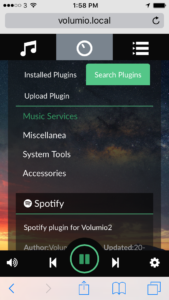 Under “Installed Plugins”, enable the Spotify plug in and choose Settings and enter your Spotify username or password. 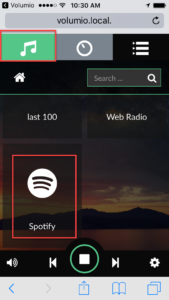 If you used facebook as your spotify login, you need to create your spotify login and password. 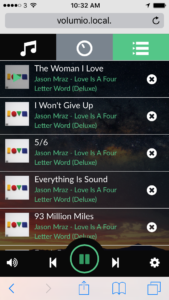 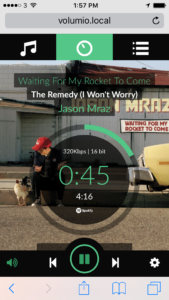 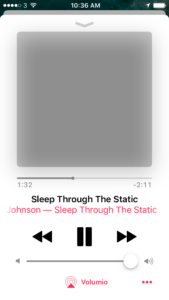 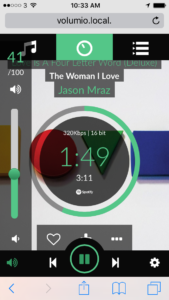 If setup is successful, you will see a Spotify icon in playback. 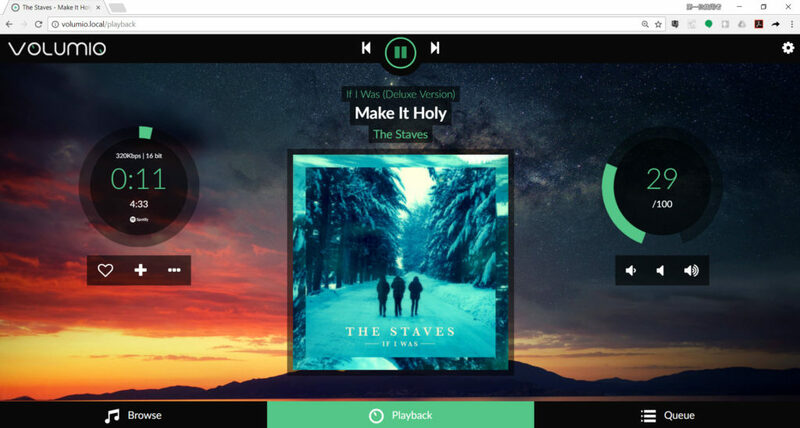 You can then search with Spotify or use your playlists.